Western Nationals has ended and we are ready to roll out the last Power Ranking of the year. Lets find out who the strongest teams in Alberta were in 2018. In the U10 age group, the two juggernauts of Alberta finally crossed paths. The Snipers program was just too strong for Sherwood Park in their only two meetings of the year and held on to their top spot. New comer Team Edmonton, bumped the remaining teams down the field as they came within a couple goals of an upset of the Green Machine. 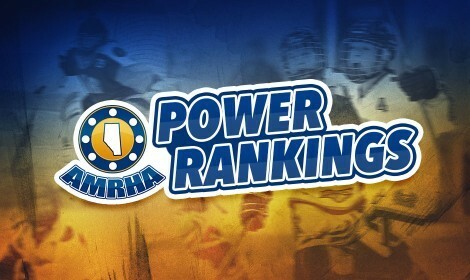 In U12 the Jr. kodiaks surprised everyone and rocketed to the top of the rankings. Since their rough start at the Showcase Event they have been tough competitor to beat ever since. They had a very good showing at BOW but really hit their stride in the Edm Inline Playoffs and that led into their huge Gold victory at the Western Nationals. Spruce Grove and the Stealth plummeted down the rankings as the other U12 teams have really caught up to them. Two new teams Strathcona Dragons and the Edmonton Spitfires had a great showing at Westerns and jumped into the top 10. With U14, the Bears lost out in the Edm Inline Playoffs and went down in OT at the Western Nationals Gold Final, because of that they slipped down two spots. Maddigan climed back up to the 4 spot. The Roller Hawks bumped into 3rd after their big OT win at Westerns. But didn't provide enough consistent play this season to sit as #1 overall. The Calgary Brewers and Edmonton Shockwaves really made some gains at the end of the season and moved into the top 10. The Adult division was a very exciting finish as it seemed Red Deer was never going to be able to pass the Calgary Outlaws in the standings. But they came prepared to play at the Westerns and beat Calgary 7-4 in tournament round robin play. Then Red Deer almost did the impossible, taking a huge lead in the first half against the best team in the AB Pro league, the Sherwood Park Archers. The Archers were able to regain control of the game in the 2nd half and the teams went into Over time to decide the League Championship. One minute in to OT the Archers scored and won the Inagural season of the Alberta Pro Roller Hockey League. After Sherwood Park #1 and Red Deer #2, the rest of the pro division teams rounded out the top 5. The remaining mens league teams in Alberta finsihed out the top 10, with the Revision Rockies from Sherwood Park holding the 6th spot after winning the Ardrossan Mens League.